When choosing the best type of Florida Keys boat rental, you need to consider what you'll be using the boat for. Some boats are better designed for certain water sports and water conditions than others. When you vacation in the Florida Keys, you're completely surrounded by two different bodies of water. The Gulf of Mexico and the Atlantic Ocean, like the rental boats you'll be considering, have their own unique characteristics. The Atlantic Ocean gets deeper much faster than the Gulf of Mexico. The Atlantic Ocean is also filled with numerous small patch reefs plus it has 221 miles of coral reef stretching from the top of the Florida Keys down to the Dry Tortugas National Park. Outside of the reef line, the water also tends to get rough and choppy. In the Gulf of Mexico, Florida Bay, and the Everglades, the water is very shallow. That's because it's protected by the chain of islands that make up the Florida Keys, and so the water is usually calm, especially within a few miles of shore. For boat rentals Florida Keys water will be just one of the factors that will determine what type of boat you'll choose. You'll also need to consider how many people will be on board with you, and what types of Florida Keys activities you'll be pursuing. You'll want to make sure that no matter what Florida boat rental you get, that you ask the right questions and know how to operate the boat equipment. Also make sure all the boat accessories you'll require are on the FL boat rental. This includes ladders, boat safety equipment, emergency radio, waterproof marine maps and a GPS system. In selecting the right Florida Keys boat rental, another feature you'll need to decide on, is whether you're going to want to have a hard canopy, a bimini, or no cover at all. Hard covers are best if you're going to travel far at fast speeds. Biminis can come loose or tear if you travel at high speeds for long periods, but they're usually good in most situations. However, if you're going Florida Keys fishing and are renting a relatively small boat with a bimini, remember to watch your casting so you don't snag your hook on the canvas. 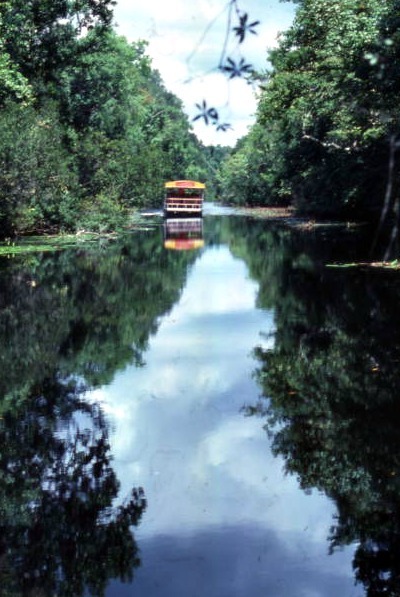 If you're going to be fishing in Florida on a smaller vacation boat rental, you may want to opt for no canopy. However, if you're going to be out in the Florida sun for long periods of time, you'll need to consider whether this is a good choice. If you do decide against a canopy on your Florida Keys boat rental, make sure you bring along a hat, sun screen and polarized sunglasses. A popular and flexible Floria Keys boat rental is a center console boat with a V hull. These come in all shapes and sizes and are the most comfortable boat rentals, providing the best view. Unobstructed vision is important, but when you're in the Atlantic - it's critical. Shallow, and reef infested, these waters can be tricky as you navigate over shoals and around the different coral patches. When choosing a center console V hulled boat, you'll need to consider a few key points. If you're going out into the Atlantic Ocean you'll want one with an outboard motor that provides plenty of power and speed. It's important to quickly get where you want to go, and to be able to get back fast if Florida weather threatens, or mechanical even medical problems arise. Typically you'll want to choose a boat rental that can cruise at around 35 knots, and is between 35 feet to 50 feet in length. This will give you plenty of room on your Florida Keys boat rental to move about and bring your gear. Even more important, the boat will handle the rougher water and your ride will be smoother. If the boat has twin outboard motors, that's an even better boat safety factor to consider. If your FL Keys boat rental is for the shallower Gulf of Mexico, then you can get away with a much smaller V hulled center console boat, that has a less powerful outboard motor. 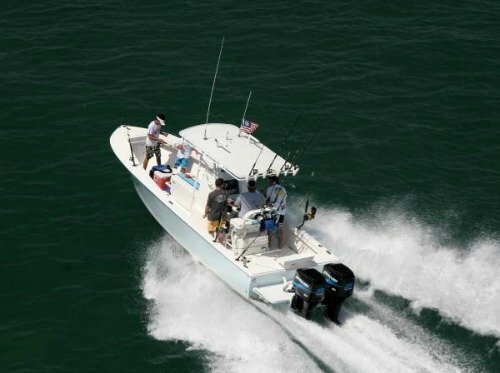 Overall, center console boats are the perfect choice for Florida Keys fishing, diving, snorkeling, pleasure boating, and for pulling skiers or people on tubes. 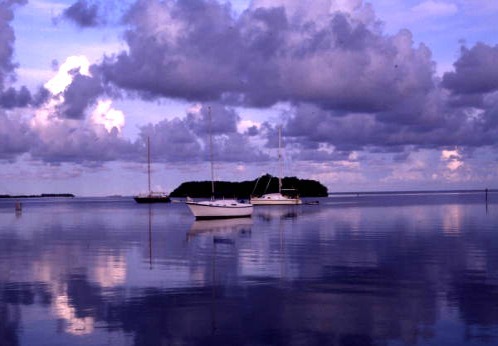 Another Florida Keys boat rental favorite is the pontoon boat. These are considered party boats, as they can easily handle large groups of people. Pontoon boat rentals are also a good choice for families traveling with children as there's room for the kids to play when anchored. If you're traveling at slow speeds, they're also usually very stable. However if you're planning on getting a pontoon boat rental Florida water closest to shore is where you'll need to travel. These boats can become unstable in choppy water and are best when used strictly as a casual, touring recreational vehicle. You'll also find that pontoon boats rentals are typically equipped with canopies for shade. Pontoon boats have ample seating, lots of room for the equipment, binoculars, camera, and other gear you bring on board. Typically they'll also have a table or some place that can be used to eat, play games, or quietly sit and study the birds and marine life you'll encounter. 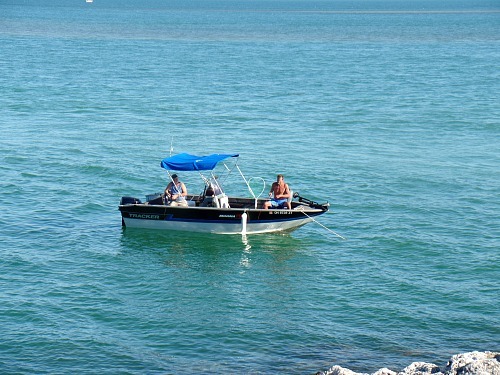 Since this type of Florida Keys boat rental is technically a party boat, they typically come with certain extras you don't get with other FL Keys rentals. Larger seating arrangements are common, and stereo equipment is often included so you can enjoy your favorite music. If you've never operated a pontoon boat before, you should know that they don't handle like other boats. They have poor response time, are clumsy, and accidents can happen if the boat is turned quickly. If high winds pick up and catch the bimini, the boat can become harder to control and it can toss and pitch. These boats are also adversely affected when seas get higher, or when wakes from other boats crash into them. 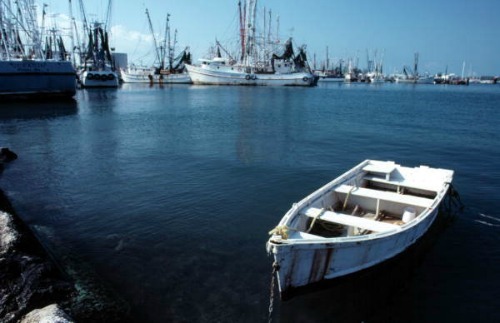 To avoid problems when the boat is in motion, passengers should always remain seated. Overall, pontoon boats are a good Florida Keys boat rental choice if you want to relax out on the water, splash around, tan, or just toss out a fishing line. Flat bottom boats or skiffs are extremely popular if you're going Florida Keys fishing in the backcountry or in the flats of the Atlantic Ocean. 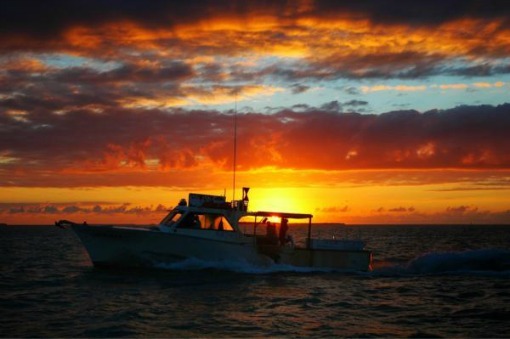 This type of Florida Keys boat rental is the best choice for gliding quietly over the super shallow water. You'll want to consider a FL boat rental that averages between 16 and 20 feet long, has a draft of 10 to 12 inches and has wide gunwales so you can easily walk around. Skiffs by their design are very stable and are meant to be stood up in, either when in motion or at rest. Some have a raised platform that is positioned over the motor. This gives a good elevated view of the area as you pole around the flats, or when you stand up to sight fish and cast. Some skiffs are equipped with one or two flat surfaces at the front and back of the boat. These can be used as platforms for standing, and casting. Skiffs are not fancy boats, but they should have certain features. Make sure the one you're considering is large enough to include a sizable live well and adequate storage for your fishing gear. 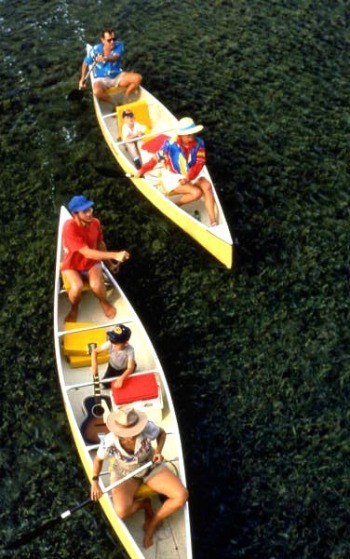 Kayaks and canoes are two other choices you may consider for your Florida Keys boat rental. If you're going to be paddling around the Florida Keys flats or the backcountry, this is the perfect way to silently glide through the water enjoying nature, and surprising fish. You can explore the Big Pine Key area, go out to the Everglades fishing for snook in the mangroves, or you can watch for birds, manatee, dolphin and alligator as you cruise the shallow, clear water around you. The important thing about kayak or canoe rentals is to make sure that you're strong enough and experienced enough, to handle the amount of time you anticipate to be paddling. The one thing you don't want to do is get far from shore and then run out of energy. Remember, only go out as far as you can manage to paddle back. It's also advisable to go out with a companion, either in the same vessel or separately. No matter what you choose to do, paddling with someone is one of the top boat safety tips that will also make your boating trip even more memorable. The important thing is that you're going to be out on the water, likely far enough away from shore or anyone else (other than your paddling partner) that if you run into a snag you could be in trouble. If you're aware of how to avoid situations or handle tough ones, you are more likely able to keep a potentially disastrous situation from happening or becoming worse. When you're out in the kayak or canoe, you also need to make sure you bring plenty of drinking water, noseeum bug spray, polarized sunglasses to reduce the glare, a hat, sun screen, binoculars, and waterproof camera so you don't miss capturing the moment. If you're planning on fishing Florida Keys, make sure you've got room for your fishing tackle, and don't forget to bring a portable live well for any Florida fish you catch. 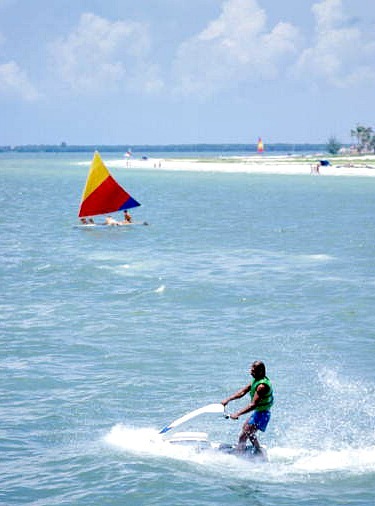 Jet skis or personal water craft are another Florida Keys boat rental option. They come in various sizes and can accommodate 1, 2 or 3 people. You can also choose from stand up or sit down PWC rentals. PWC rentals are very popular when you want to spend a couple hours of fun crashing through the waves on the open water. The key word here however is open water. Off the Florida Keys, water tends to be super shallow and it's filled with plenty of sand bars and reefs. Nothing screams pain louder than smashing into one of these obstructions at high speed while on a personal water craft. You would be airborne in seconds and the outcome would undoubtedly be nasty. Due to the very nature of jet skis, and the combination of water obstructions and often heavy boat traffic, there are a variety of restrictions attached to anyone operating a personal water craft. First no one under the age of 14 may operate a PWC, and no one under the age of 18 can rent a personal water craft. 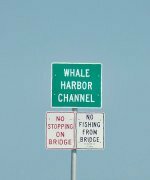 Anyone operating a PWC must also have proper certification, and depending on where you are on your Florida Keys vacation, other restrictions will apply. You can get the additional information you'll need pertaining to restrictions, regulations and operator licensing requirements on our Florida Keys Boat Rentals page, under our Test Certificate Requirements And How To Obtain Florida Boating License For Florida Boat Rentals section. In a nutshell though, if you were born after 1988 you MUST have boating certification. If you don't, you will be subject to fines, and in reality you won't be allowed to rent a boat on your Florida Keys vacation. Getting certified is easy and not expensive, even if you're here from another country on vacation. Florida Fish and Wildlife has additional information on this subject with links directing you to options so you can get your boating certification. You may also want to check out Florida Fish and Wildlife's link to their FAQ section. Especially if your from a different country, you'll be able to get reliable information so you can be compliant with the boating safety laws. 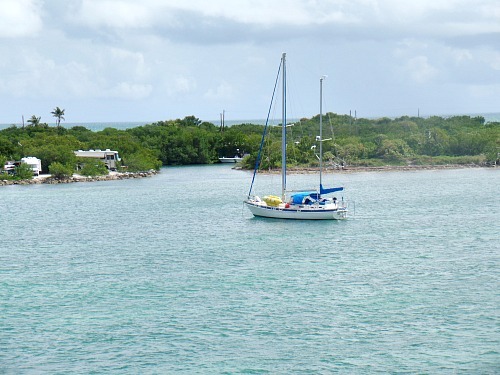 Another Florida Keys boat rental option that is not very common are sailboat rentals. This is primarily due to the fact that the level of skill required is quite extensive. To rent a sailboat you would also need to have a crew help you man the vessel. Typically a demonstration of your sailing skills are also required before a sailboat rental is possible. The exciting part is that you have lot of FL rental options available when it comes to selecting the best choice for your Florida Keys boat rental. Your FL boat rental can also be for a few hours, a day, a week or even longer. You can even mix and match, so that you can try different types of Florida boat rentals, and see which type works best for you. The best part of course is that you're out on the water, and frankly, nothing's better than that.